West Ham could lose out on the signing of Eidur Gudjohnsen to AEK Athens, who have offered the Icelandic forward a two-year deal. Reports from Greece on Saturday claim the 32-year-old, who underwent a medical at West Ham on Thursday, could sign a contract with AEK until 2013. 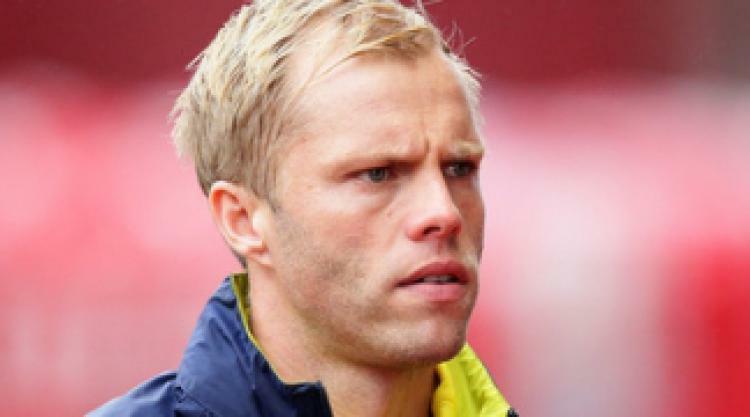 The Hammers are understood to have offered only a one-year deal to Gudjohnsen, who is a free agent following his release by Stoke. New West Ham manager Sam Allardyce wanted to add the Iceland international to an attack which has been shorn of Demba Ba, Robbie Keane and Victor Obinna following the club's relegation, but now may have to look elsewhere. Former Chelsea and Barcelona forward Gudjohnsen came to prominence under Allardyce at Bolton, where he scored 27 goals in 77 appearances before making a £5million switch to Stamford Bridge in 2000. Gudjohnsen has come close to moving to Upton Park before, in January 2010, only to change his mind and join Tottenham instead. The indication of AEK's interest comes less than 24 hours after Hammers striker Carlton Cole turned down a £6million transfer to Stoke.